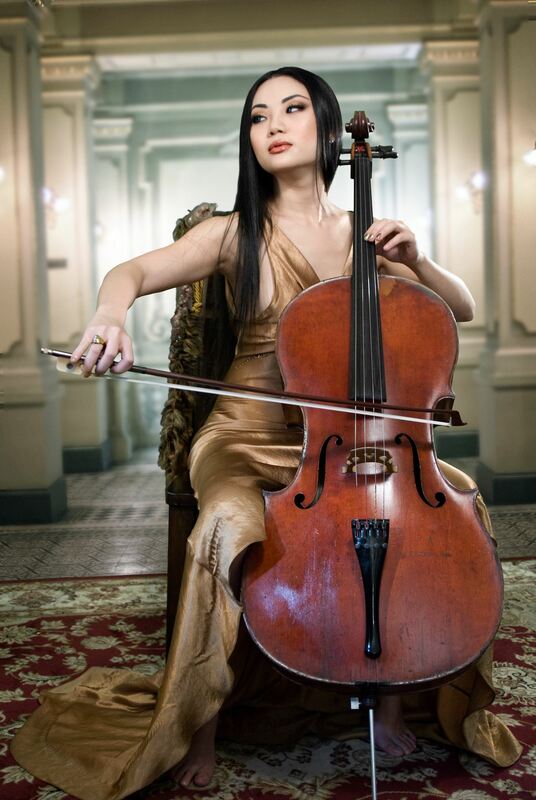 Tina Guo is an internationally acclaimed and Grammy-nominated virtuoso acoustic/electric cellist, recording artist, and composer. With a multi-faceted career and mastery in a wide range of genres, her passion for musical exploration, artistic expression, and technology are expressed through live performance and visual media. Tina can also be heard as a featured soloist in many Blockbuster Film, Television, and Game scores. 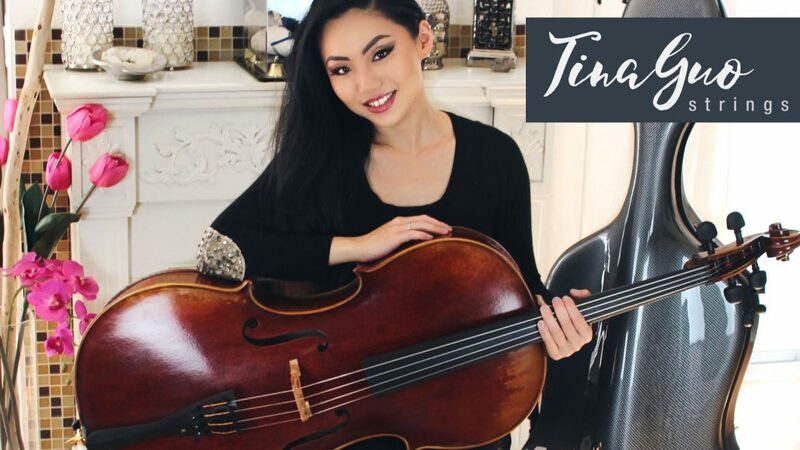 Tina is proud to introduce her own music instrument line – starting with the Tina Guo 300 Model Cello, and a full line of custom Tina Guo Bows. NEW - The Tina Guo "Wing" Pickup! 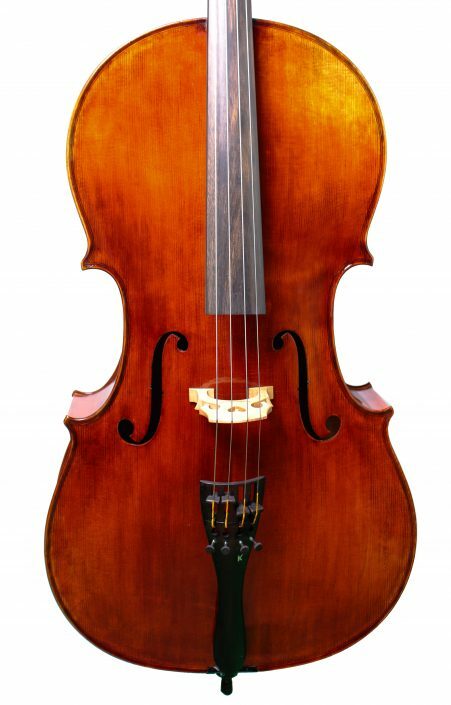 Tonally and aesthetically masterful at a most affordable price, the Tina Guo 300 Antiqued Model Cello is a finely handcrafted instrument, made with a select quality highly seasoned Spruce Top, highly figured Maple Back, Ribs, and Neck, as well as Ebony Pegs and Tailpiece. 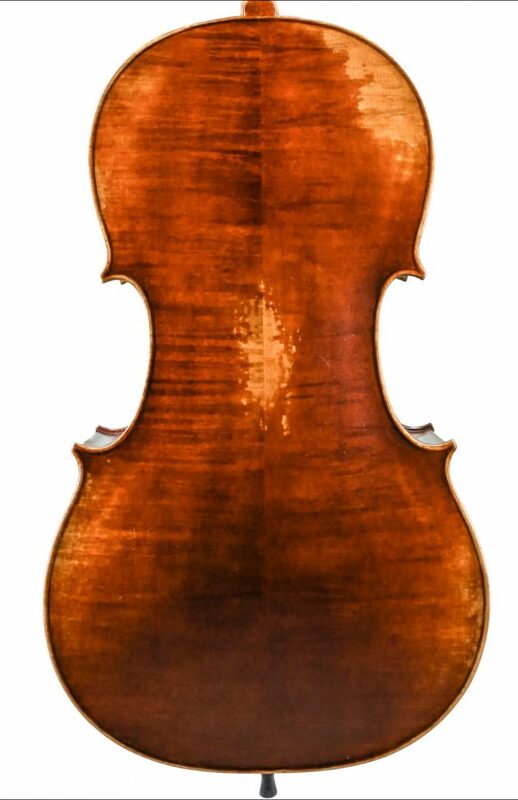 Featuring an elaborate antiquing varnish process that gives the model 300 a vintage, aged appearance, the cello is set up to Tina’s high professional standards at the renowned Samuel Kolstein & Son Violin Shop in New York. 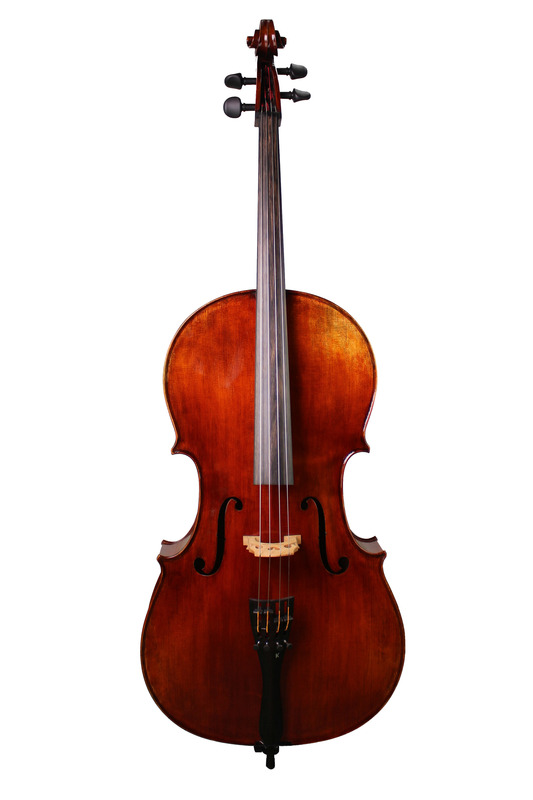 The 300 Model includes a Weather-Proof Padded Cello Bag, and Jargar and Thomastik Dominant Strings. 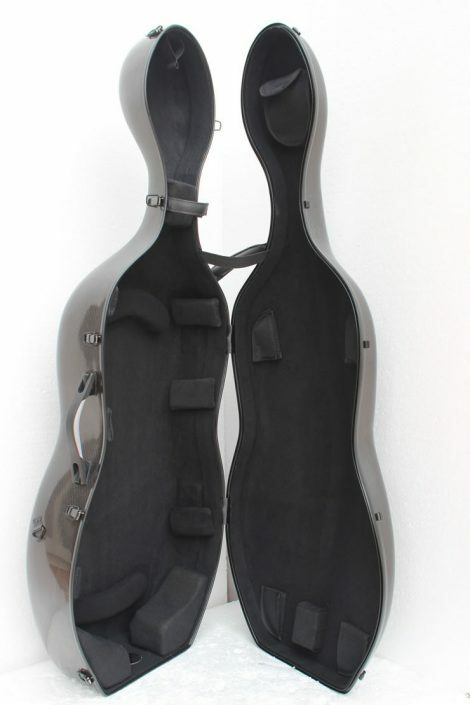 The 300-Premium Model features upgrades to a Carbon Fiber Case with Built in Sheet Music Pocket, Larsen Magnacore Cello Strings, Wittner Finetune Non-Slip Carbon Fiber Pegs, Carbon Fiber Endpin, and an unique Kolstein Tailpiece with 4 integrated Fine Tuners and Rear Harmonic Tuning Mechanism. Both options include your choice of High Quality Carbon Fiber or Brazilwood Bow with White or Pink Hair Color options. Through April 30th, shipping is FREE within the continental U.S. ($150.00 value) to celebrate the launch of Tina Guo Strings! 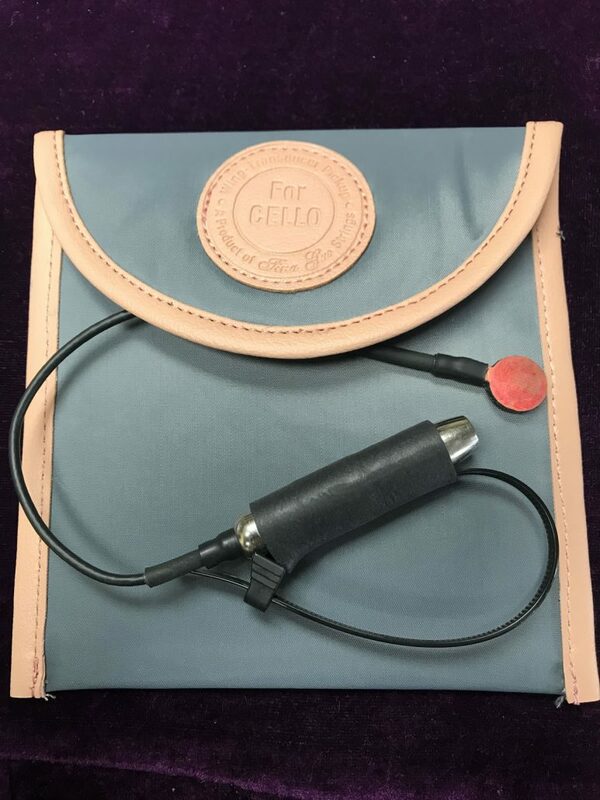 Please note: Orders outside of the Continental United States will require an additional shipping fee, and the buyer is responsible for all import duties. Use the contact form below to inquire about shipping rates. 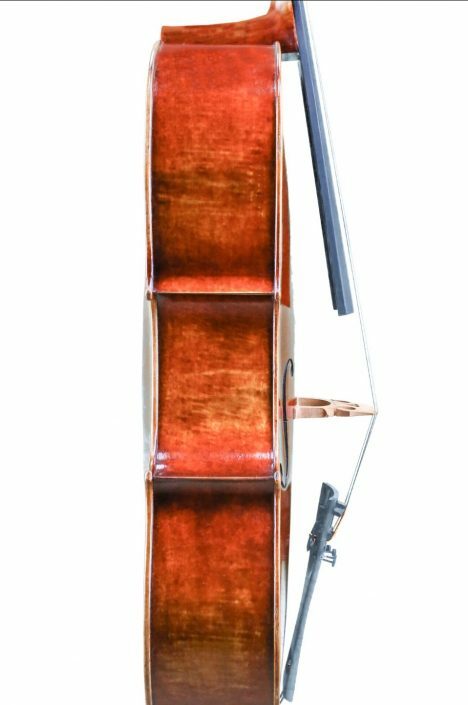 • Tina Guo 300 Antiqued Model Cello completed in the Kolstein Violin shop of New York. • Choice of either Tina Guo Brazilwood or Carbon Fiber Cello Bow with White or Pink Hair included. 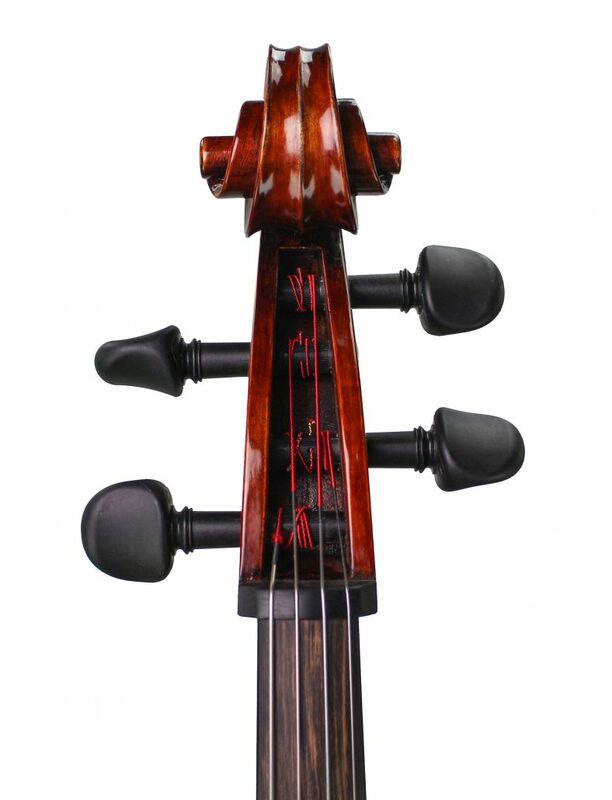 • Kolstein Tailpiece with 4 Integrated Fine Tuners and Rear Harmonic Tuning Mechanism. Tonally and aesthetically masterful at a most affordable price, the Tina Guo Elite Master Art 600 Antiqued Model Cello is a finely handcrafted instrument, made in the affiliate Prague Violinshop of Kolstein & Son, under the auspices of Tina Guo. 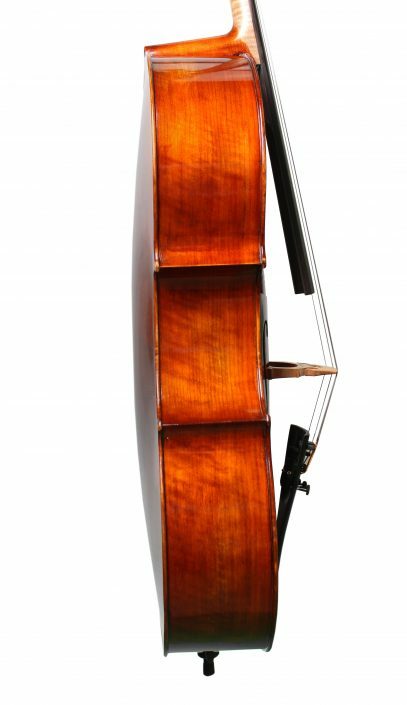 This high level Cello is made with select quality highly seasoned Spruce for the Top, highly figured Maple Back, Ribs, and Neck. Featuring an elaborate antiquing varnish process that gives the model 600 a vintage, aged appearance, the cello is set up to Tina’s high professional standards at the renowned Samuel Kolstein & Son Violin Shop in New York. The 600-Premium Model features Larsen Magnacore Cello Strings, Wittner Finetune Non-Slip Carbon Fiber Pegs, Carbon Fiber Endpin, Aubert Deluxe Bridge, the unique Kolstein Tailpiece with 4 integrated Fine Tuners and Rear Harmonic Tuning Mechanism, and a Carbon Fiber Case with Built in Sheet Music Pocket, . Varnish is a reddish-brown color highly antiqued in nature. 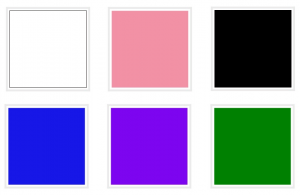 Tonal qualities: Deep lush quality of sound, very even in all registers, with extremely impressive projection. 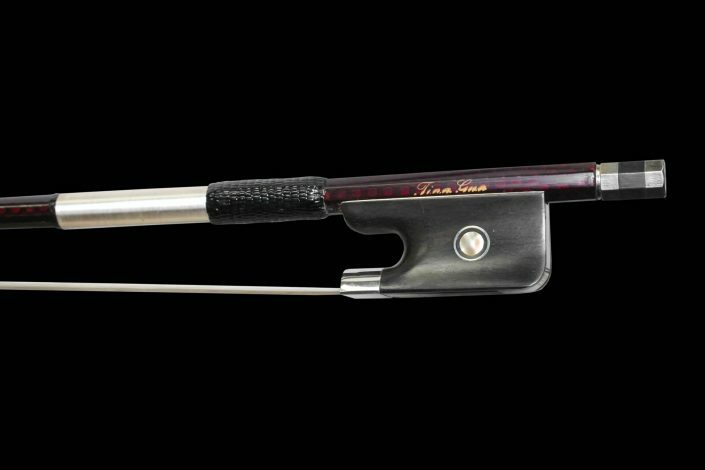 The Tina Guo Branded line of high quality Brazilwood Bows are of the finest playing quality for this high student level of bow and affordably priced. Made to the exact specifications of Tina, these bows offer a medium to strong stick with fully lined Silver Ebony Frogs, and full Silver Wrap with Leather Trim on both ends of the winding, as well as Eco-Friendly Synthetic tips. 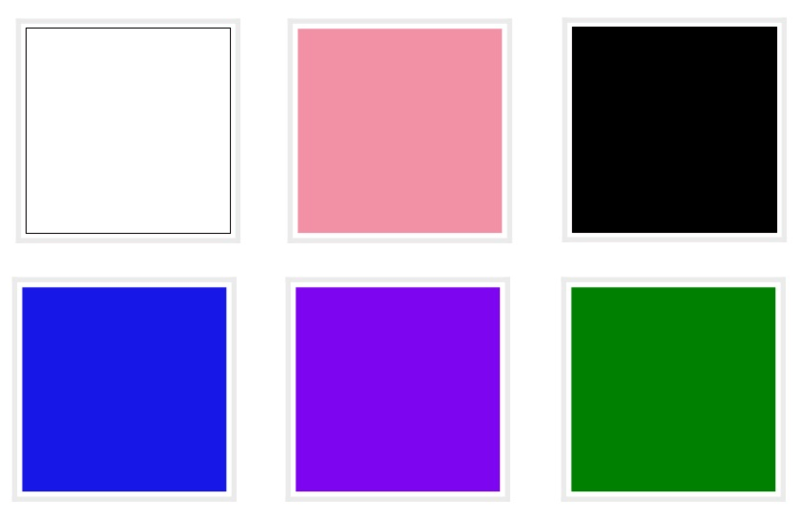 These Bows are available for Violin, Viola, and Cello in 1/2, 3/4, and 4/4 sizes. 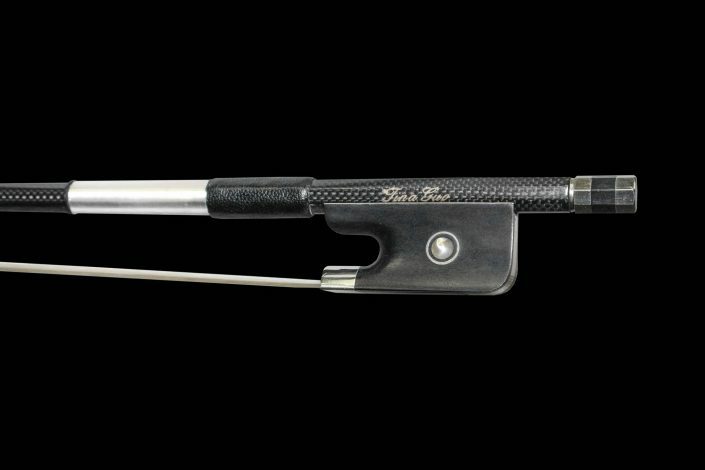 The Tina Guo Branded Series of Carbon Fiber Bows are made from a Graphite Fiber Construction that is lightweight but incredibly strong. 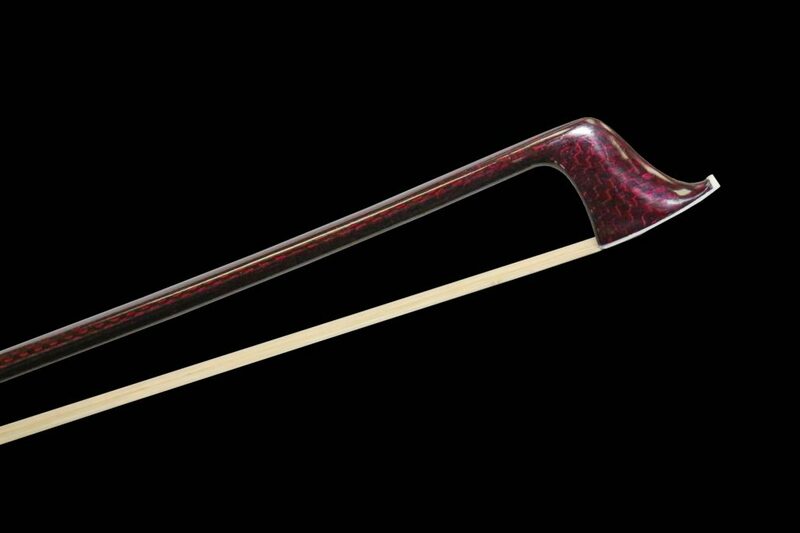 The Graphite Fiber is woven and molded into a permanent shape to construct these fine Bows. Through the decades, Carbon Fiber Bows have benefited from significant advances in Carbon Fiber Technology which has resulted in the this fine line of Tina Guo Carbon Fiber Bows. 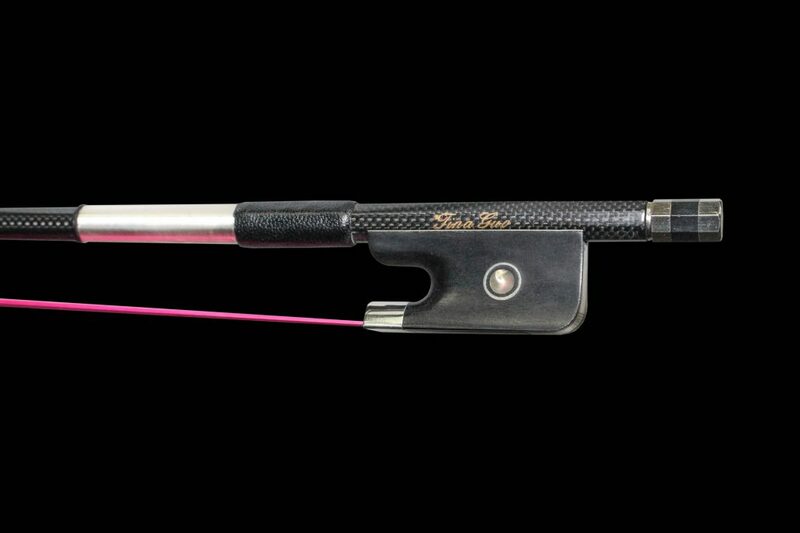 The Tina Guo Carbon Fiber Bow is a great all purpose choice for players that want an extremely high quality, articulate playing Bow that can be played with consistency in all Weather and Music scenarios. 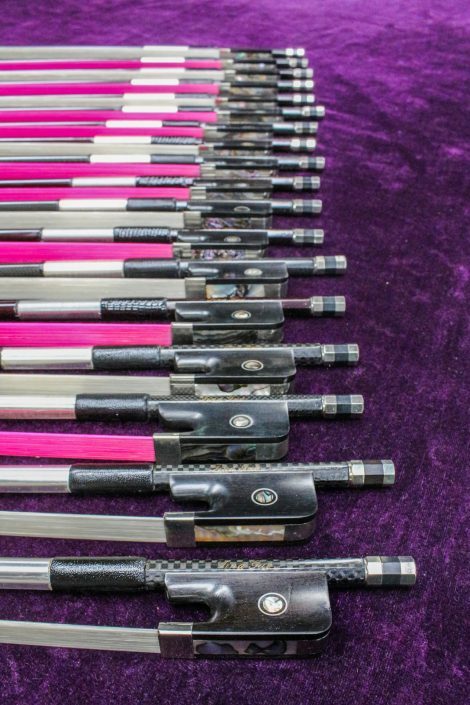 These bows feature a black braided round Carbon Fiber Stick, Ebony Frog with Parisian Pearl and Silver Eyes, Full Silver Mounted and perfectly balanced. 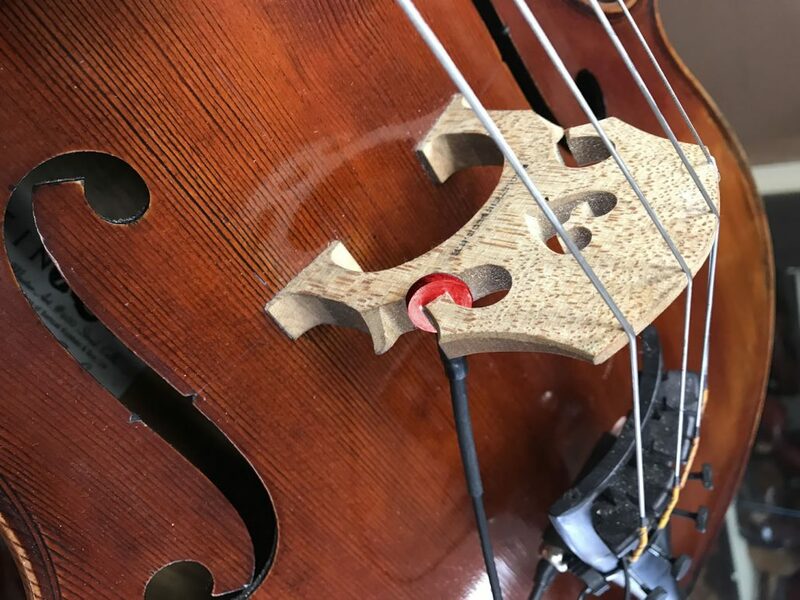 Tina uses the Tina Guo Branded Series of Carbon Fiber Bows while recording and performing on the Electric Cello, and also in situations where use of her fine Wood Bow may risk damage. Unlike wooden Bows which are highly susceptible to humidity and temperature changes, Carbon Fiber Bows are highly resistant to warping and breakage. Please note: International orders will require an additional shipping fee, and the buyer is responsible for all import duties. Use the contact form below to inquire about shipping rates. The Tina Guo Elite Braided #600 Series of Braided Carbon Fiber Cello Bows are made from a Graphite Fiber Braided Construction that is lightweight but incredibly strong. 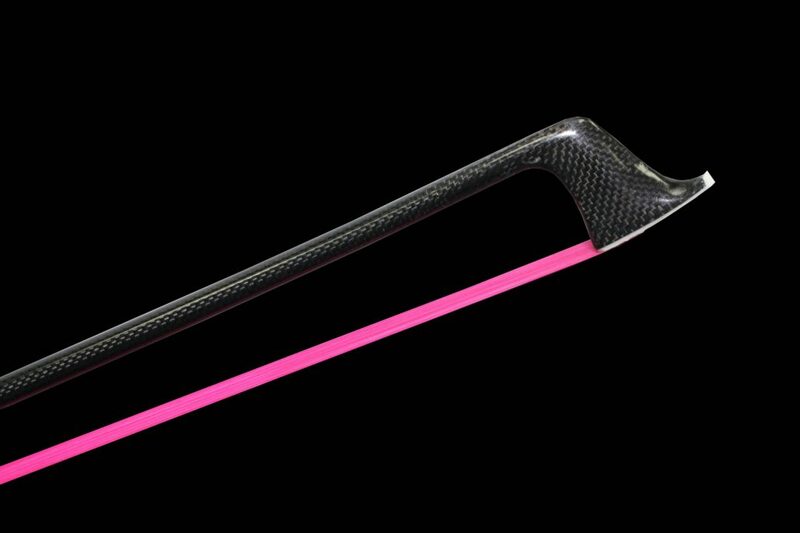 Braided Carbon Fiber bows represent the latest in bow technology. 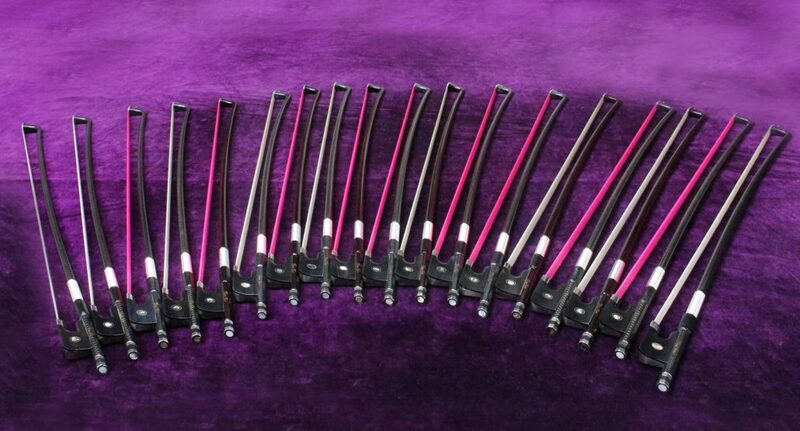 These elite bows are the ideal choice for professional caliber musicians and are the choice bows for Tina Guo to rely upon for her multi venue performances. 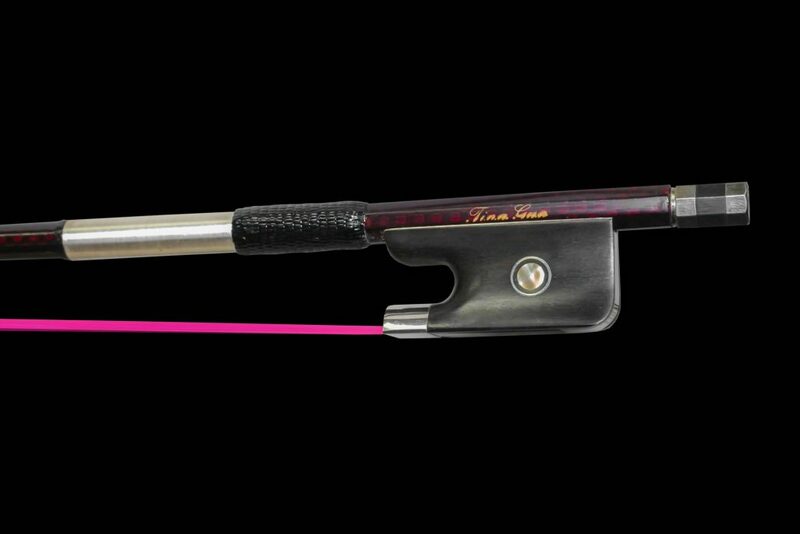 These bows offer exceptional performance and are highly responsive and offer the next level of quality in the Tina Guo Bow Line option to the highly popular standard carbon fiber composite Tina Guo bows. The Tina Guo Elite Braided Carbon Fiber Bow is a great all purpose choice for players that want an extremely high quality, articulate playing Bow that can be played with consistency in all Weather and Music scenarios. 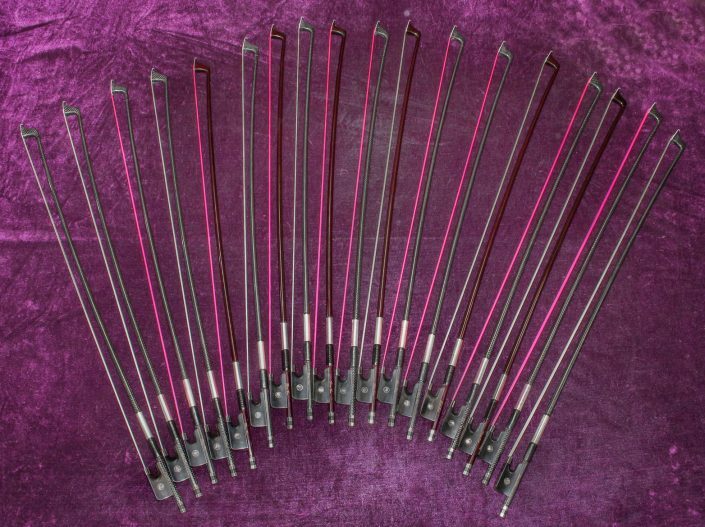 These Cello bows featured are available in both a clear coat Braided Grey and Ruby Red finished Stick, Ebony Frog with Parisian Pearl and Silver Eyes, Full Silver Mounted, with either standard high quality white hair or quality pink colored hair. 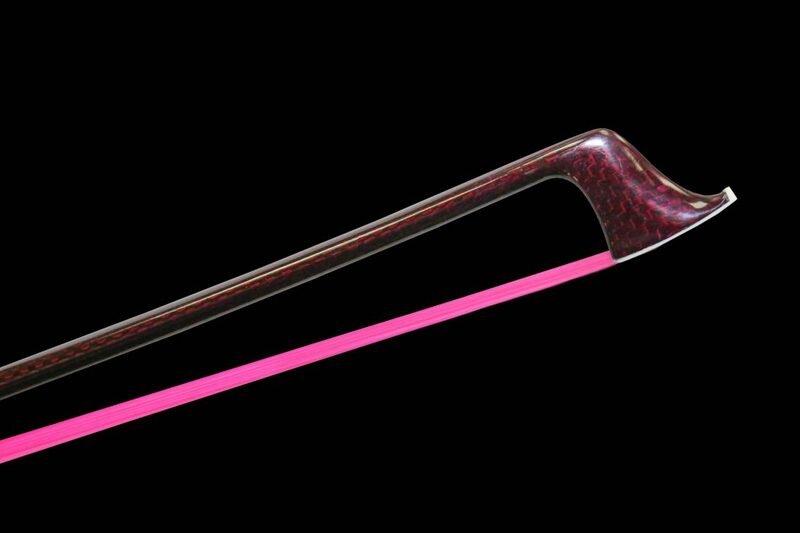 These Bows are available for Cello in 4/4 size. The Tina Guo “Wing” transducer Cello Pickup offers high output with the full spectrum of sonic frequencies. 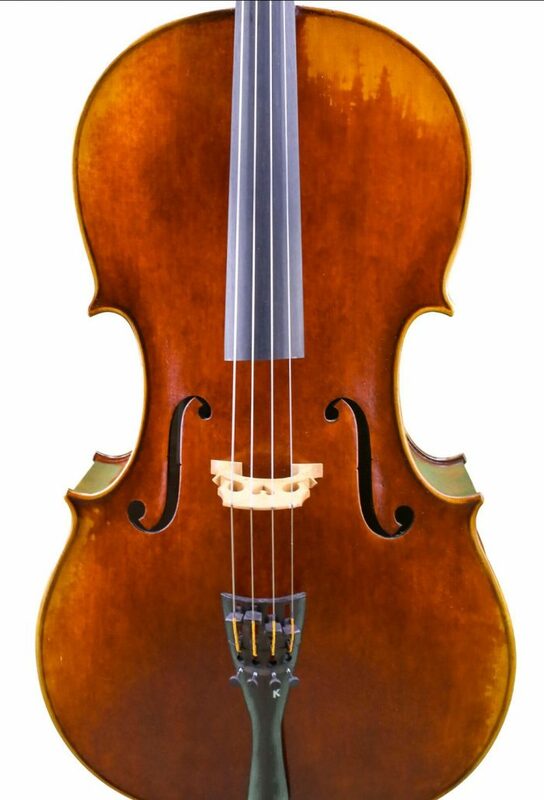 This pickup is revolutionary for the cellist, giving lowest notes superior definition and the treble and midrange are warm without the typical harshness associated with other double bass pickups. 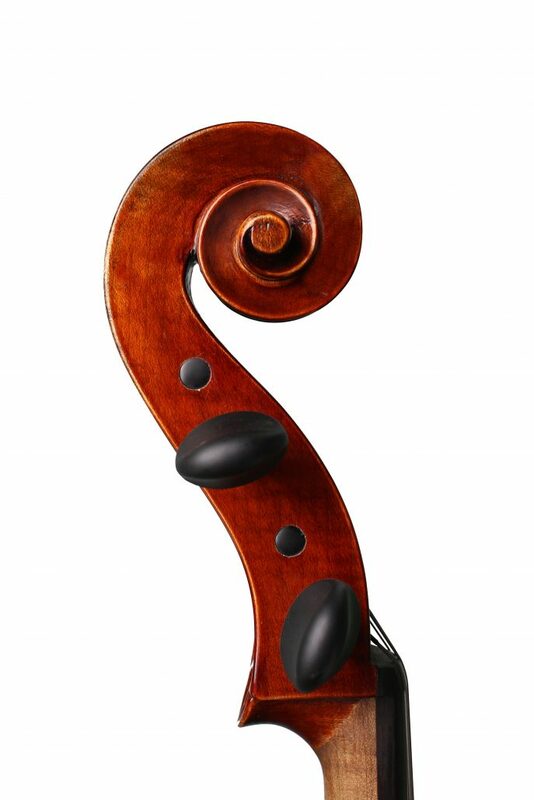 Because of it’s balanced sound, it has proven to be resistant to feedback at high volumes. 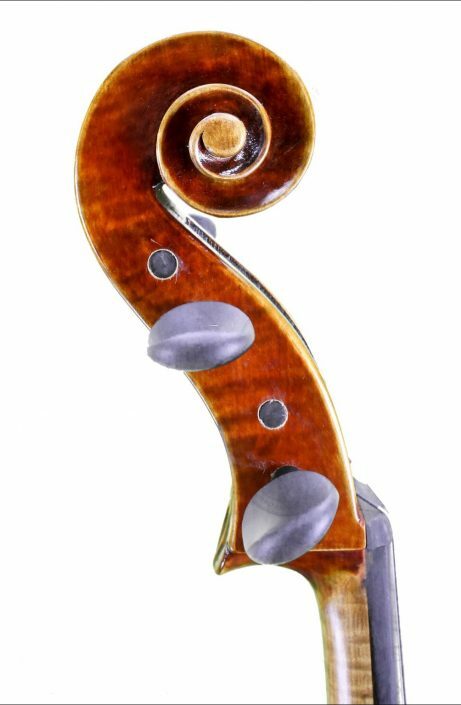 • Accurately replicates the acoustic sound of the finest Cello. 195.00 + free shipping within the US. To request more information or post your positive comments about the Tina Guo products, please use this handy form. 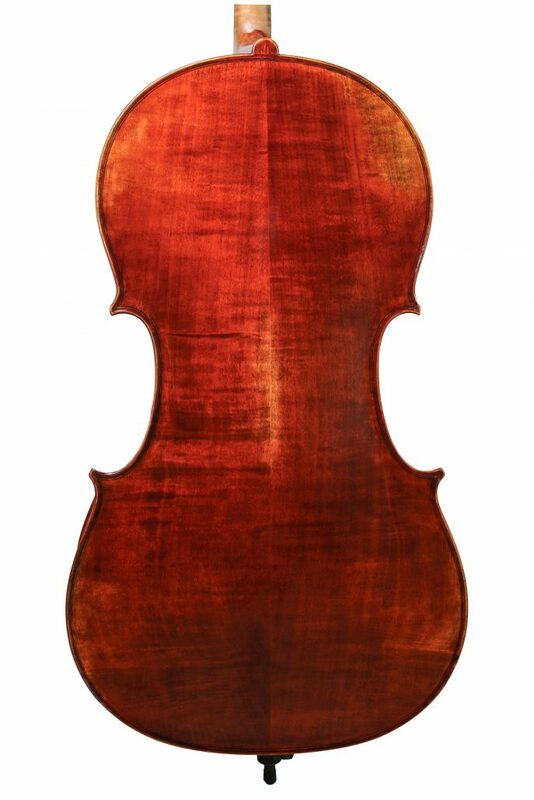 We offer a 7 day approval policy upon receipt of the instrument or bow, whereby the client has a right of refusal. Contact +1 (516) 546-9300 for a Return Authorization Number; all costs of shipping are the buyer’s responsibility unless the merchandise received is defective. We recommend using a trackable and insured shipping method, and all non-defective returns must be in new condition.